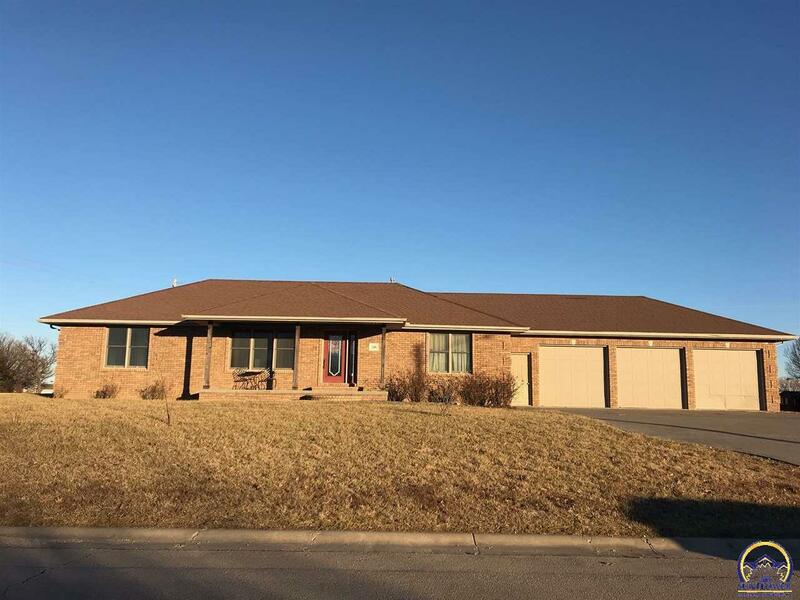 Olpe Rancher, large corner lot, 3-car garage, and 3,000 sq.ft. of living! Built in 2006, Doug Schmidt the Builder, 5 potential bedrooms, 3 full baths, and two basement egress windows. Other amenities includes a jet tub, all solid surface counter tops, oak cabinetry, lawn irrigation system, and all kitchen appliances. Priced to sell!